Need a cute pouch to carry all your daily necessities? Who doesn't? 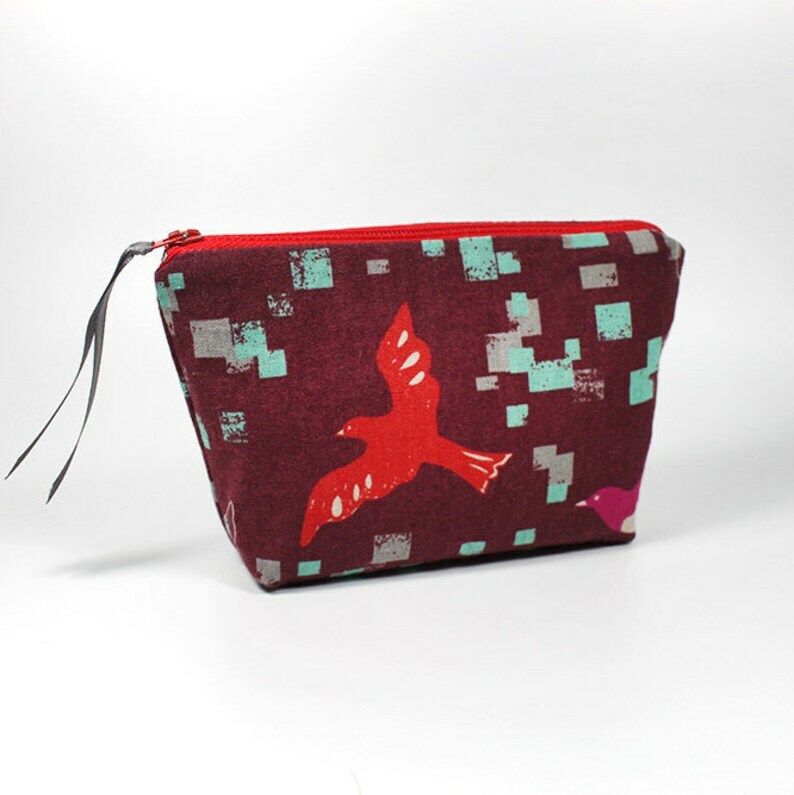 This zipper pouch is perfect to carry inside a larger bag, or on it's own as a clutch! Fits items such as sunglasses, makeup, ipods, and cell phones. Outer material is a sturdy upholstery fabric by Echino and lined with an interfaced cotton. Zipper has a ribbon pull for easy opening and closing. Measures approximately 7" wide x 4.5" tall x 1.5" deep. Dry or spot clean recommended.